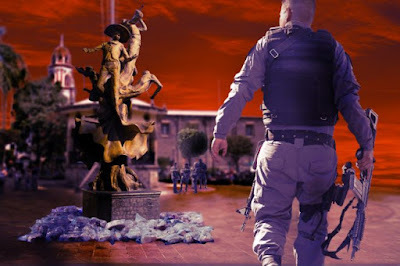 Because of its proximity to large drug markets such as Guadalajara and Zapopan, but having weaker municipal institutions, which are poor and more at risk of assimilation, Tlaquepaque ended up becoming the ideal refuge for organized crime cells and, specifically, the Jalisco Cartel New Generation (CJNG). Thus, despite having just over 8 percent of the population of the state (apx 600k), Tlaquepaque was the site of a fifth of all intentional homicides that occurred in the state in the first two months of 2018; 48 murders of the 247 that the entity added at the beginning of this year. The disarming of the Tlaquepaque Police, within the federal operation Escudo Titán, on March 11, had as antecedent the multi-homicide of six subjects, attacked by a commando in a restaurant; one of them, prosecutor Raúl Sánchez Jiménez said on March 8, "has the initials CJNG, from the Jalisco Cartel, tattooed." After the intervention of this municipal corporation by the Army, the Federal Police and the local Prosecutor's Office, the Secretary General of Government, Roberto López Lara, explained the diagnosis that had motivated that action, and that shows what has been happening with that municipality which is in the metropolis of Guadalajara. "The Jalisco government, and in collaboration with the federal forces, decided to act more firmly against organized crime; and derived from the coordination meetings, an operation was carried out with a safety belt in which eight security filters were placed in the periphery of the metropolitan area, of which four were in the area of ​​influence in the municipality of Tlaquepaque. “This operation allowed us, through intelligence work, to detect that among the intervened, those corresponding to Tlaquepaque were the most conflictive, since (by) the strategic location with its border with the most important municipalities of the metropolitan area of ​​Guadalajara , and that connects with the most important roads that cross the state (...), the criminal groups seek to control the municipality not only for drug dealing, but also for the transfer of illicit substances and other crime”, he said on March 22. 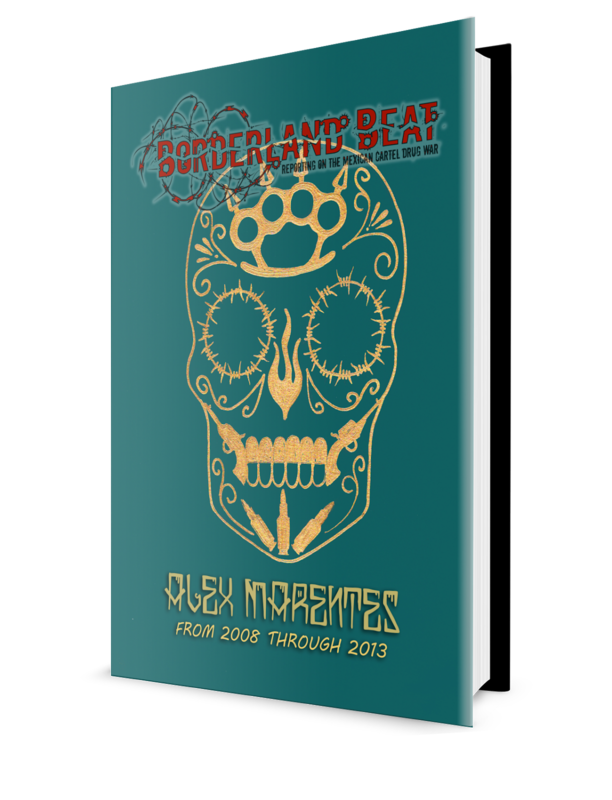 Once the Tlaquepaque Police had been re-evaluated, through (polygraph) examinations and trust checks, the authorities concluded that more than a tenth of its members were not reliable; 125 of 863 total. Even one commander, Miguel Angel "N", who had participated in the murder of another officer of the same institution, on January 30, was detained because they belonged to different criminal cells, according to the Prosecutor's Office on March 26. "A San Pedro Tlaquepaque Police Commander was linked to an alleged participation in the murder of another man, who was also an officer of the same corporation (...). 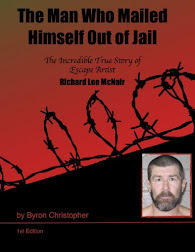 It was possible to clarify that the motive of the crime was because the victim belonged to a criminal group opposed to the one who was a member of the now detainee, a situation for which they deprived him of his life. Concurrently, the United Nations Office on Drugs and Crime (UNODC) had already indicated in 2014 the relevance of this municipality for drug trafficking operations oriented towards the US market. 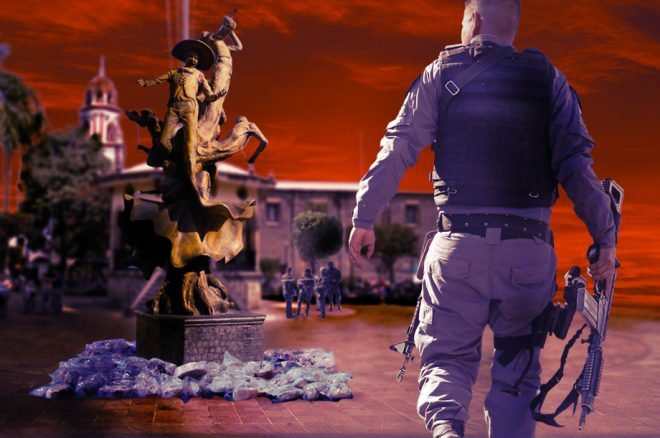 In its Global Evaluation of Synthetic Drugs 2014, the UNODC highlighted Tlaquepaque, together with Guadalajara, are points of origin in Jalisco of routes for the transfer of methamphetamine shipments, and that go directly to the border cities of Tijuana and Mexicali, for their introduction to the territory of the United States. The CJNG, presumably, manages a varied portfolio of narcotics for its traffic to the north country, and has a high specialization in synthetic drugs, and especially in methamphetamines. "Jalisco is one of the main states in Mexico where methamphetamine laboratories have been discovered, together with the states of Michoacán and Sinaloa," UNODC says in that evaluation. Looks like all Tlaquepaque’s are cursed. I once went to the Tlaquepaque bar in oxnard and couldn’t believe the amount of free beers woman were buying me. Turned out it was queer night and I was one of very few straight men attending. Since I had never experience a night like that I ended up staying till they closed. Saludos a los de Michoacan!